Let’s face it. We all know why we really play games…loot boxes, chests, and card packs. That lovely feeling of spending money on a virtual item without even being sure as to what it will be. Well now, we can get all of that without having all the other pesky things — like gameplay — get in the way. 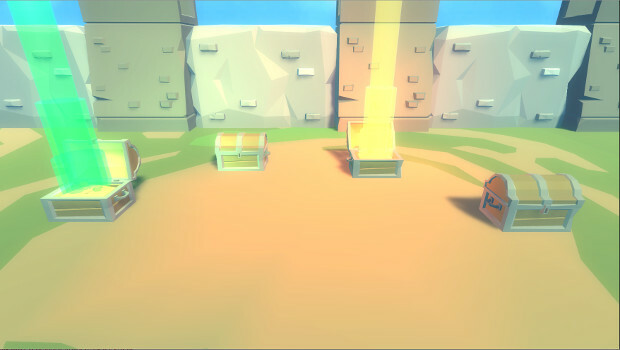 That’s right, someone’s created a game where you just open loot boxes. The game is called “I Can’t Believe It’s Not Gambling!” and it includes a complete loot system, crafting, a collection system, and what the developers refer to as “Realistic Currency Manipulation Simulation.” I’m not quite sure what that last one means, but I’m guessing we’ll be playing with pretend money. It’s unclear as to whether this game will be free-to-play or not, but you can bet when it comes out, it’ll get a good bit of air time on Twitch. More information on the game can be found on its Steam page. Let me guess. This was just some parody game they made, then some morons started throwing money at. Now they’re going to milk it. Come on you kiddin right? We play games for fun & enjoyment, not stupid loot box’s. Who really even gives them a thought. It is just slot machine put into a game to give the boring none game players who do not know not have a clue what to do in a game, so they revert to gambling for their enjoyment.